Celebrated annually since 1927, the renowned Bracebridge Dinner transforms The Majestic Yosemite Hotel’s Dining Room into a Old English-era hall filled with Christmas festivities. The inspiration for this incredible Yuletide ceremony was Washington Irving’s Sketch Book about Squire Bracebridge and Christmas traditions of the period. 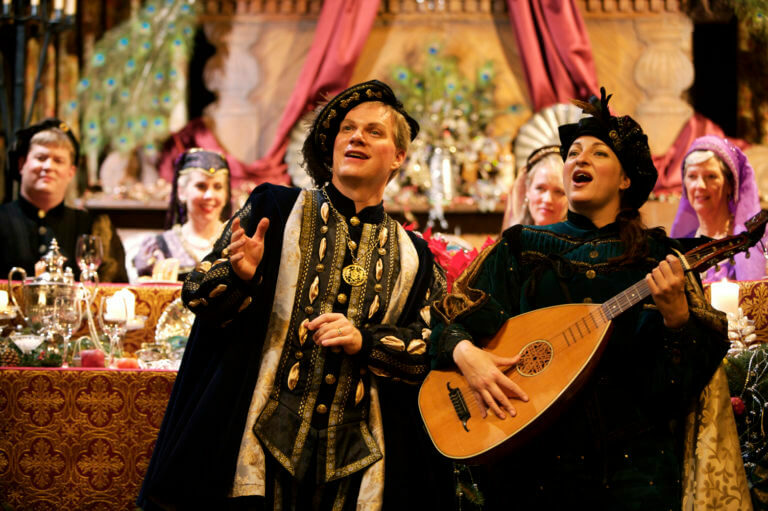 More than 100 cast members portray the Squire and his family, their servants, the Lord of Misrule, and minstrels. Fun Fact: Famed photographer Ansel Adams was the first director of Bracebridge Dinner and he also performed as one of the main characters.